Go back in time to retrieve the hottest (and oldest) Dino Eggs. 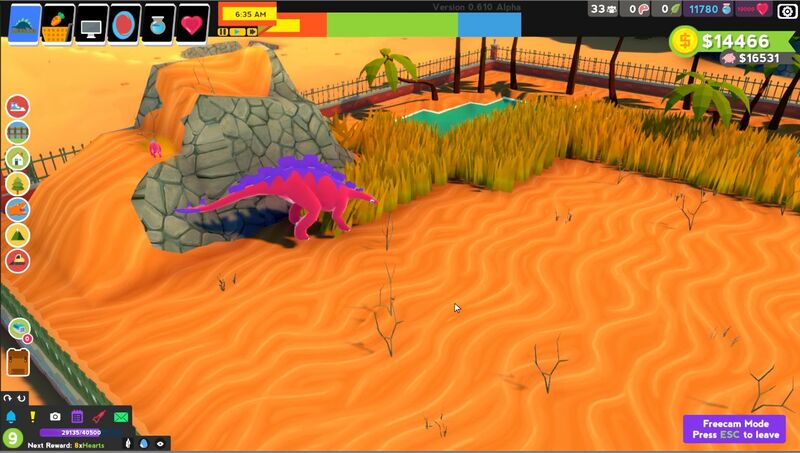 Currently Parkasaurus is in an early stage of development although a lot has been done! 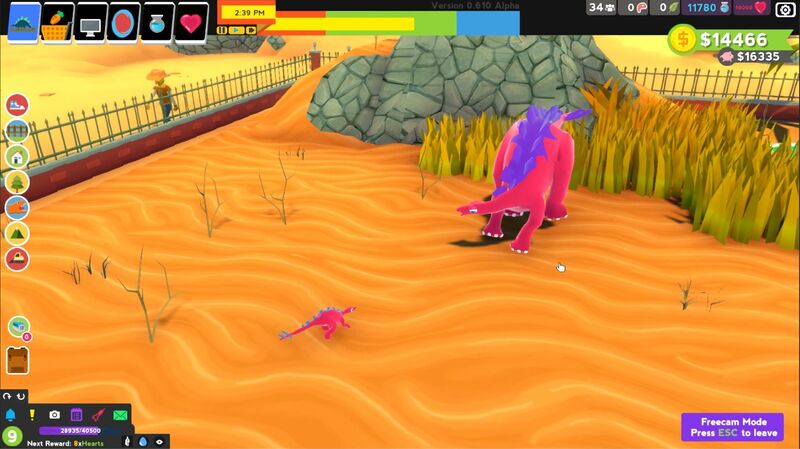 Out plan is to make Parkasaurus available this spring for those interested in forging the direction of this game. We have so many ideas still to do and would love the support of a Parkasaurus community to help us decide what to work on next. As we had mentioned last Update there has been a major overhaul to the AI and animation system for Parkasaurus that is bringing us one step closer to MODS. Although this work took a bit longer than we anticipated, a benefit is performance improvements for the game. Oh, and we also added a 4th member to the Stegosauria family to even it with the other dino families at 4. Hopefully, the game feels a little better for you. What more can we say! The Stegosauria family was feeling pretty sad with only 3 members – so now everything is even (for now). We are thrilled to be closing in on 400 Reviews on our Steam Store page! If you haven’t had a chance to write a review for the game to be sure to pop on over and write one up for us. It helps a TON. Thanks! 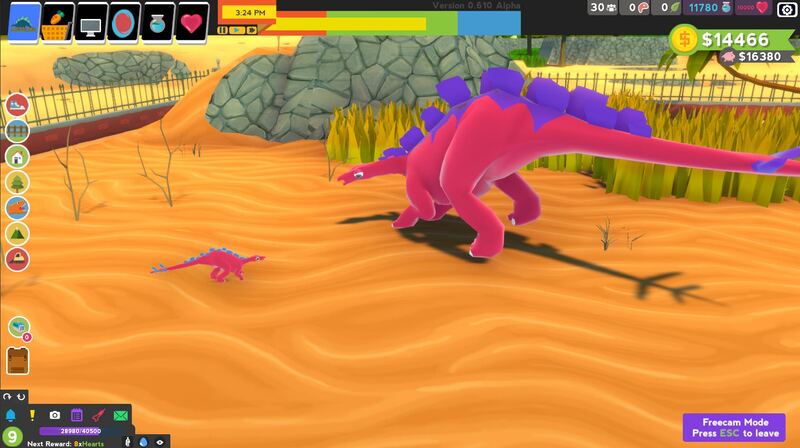 Oh, and if you’ve made it this far and feel strong enough to toss Parkasaurus a vote for GOTY at IndieDB. To all you early supporters – thanks a ton. Don’t worry, we’re still thinking of something awesome to give everyone who has helped us in Early Access. Introducing the weekly competition for #screenshotasaurus. Update: MOD: Dino Textures. MOD: Dino Meshes (body). MOD: Swap-able buildings. New mystery dino. Performance Improvements! Discord VERIFIED! Parkasaurus Update #023 : Pause! Pause feature (Customize mode). Cloud Saves. Japanese Localization. Looks nice, features I'd suggest is a way to control the dinosaurs and the guests. Being able to control the dinosaurs breaking out or being able to control a vistor would really help make this game stand out even more. Looks very nice. I'm excited how it will go on.